Gold was discovered in Sumpter in 1862. For most of us the vision that statement might bring to mind is reminiscent “paint your wagons” or a similar old-timey gold rush film; one of mass populations of miners flooding the valley singing and dancing as they came, huge rowdy mining camps springing up overnight and within months a city appears out of thin air riding on the golden wealth flowing out of the hills. It sounds pretty exciting! In reality it wasn’t that fast or exciting or musical. In fact, the actual mining boom wouldn’t take place for another 30 years! The reason for this was because of Sumpter’s remote location. It was just close enough to the Oregon Trail and other travel routes for word of the gold to slip out and entice those passing by; but the access to Sumpter, being limited to rough narrow trails and roads over or through the mountains, left something to be desired. This severely limited the ability to establish large mining operations, as well as as merely bringing in the supplies needed to support large groups of miners with food, housing, and the general comforts one would want if one wants to live in comfort out in the middle of nowhere. So, that said, the mining operations plodded along at a slow pace until just before the turn of the century. The catalyst that finally pushed the Sumpter Gold Mining off of its trickle pace and off on a rush actually wasn’t even gold. It was WOOD! 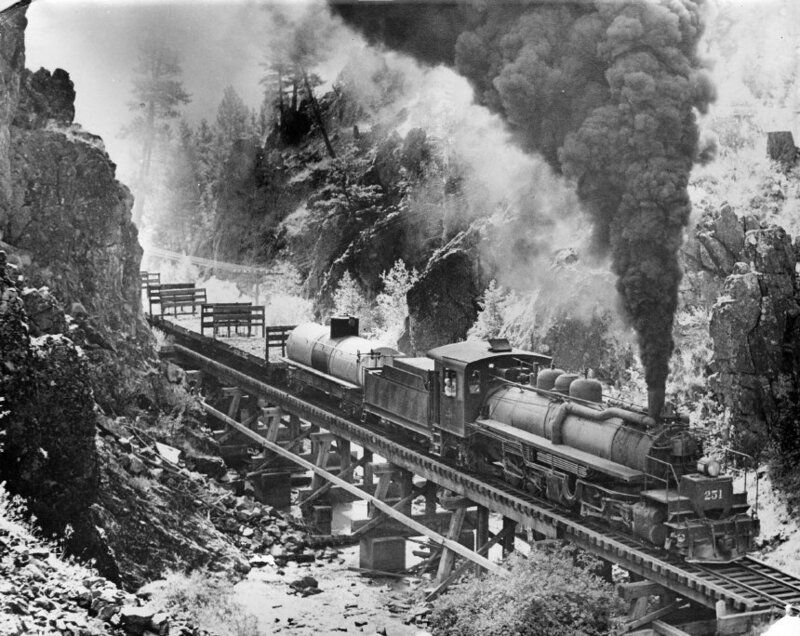 The vast forests that stretched over this portion of the Blue Mountains was enticing lumber companies, namely the Oregon Lumber Co., to make their way into the mountains and from this ambition the Sumpter Valley Railway Company was born. 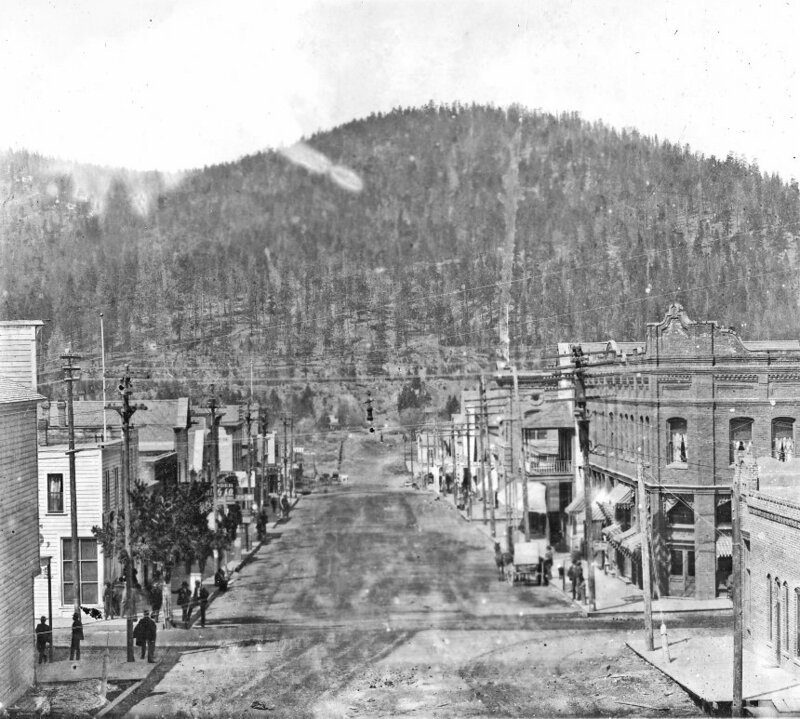 The railroad not only provided the Lumber Companies access to the forests, it also opened the Sumpter Valley to the outside world allowing the little mining town of Sumpter to Boom to a large city almost overnight! Unfortunately for Sumpter, even though the train continued to chug through the valley until 1947, the boom was short-lived. The gold industry that had built the town depended on began to decline shortly after the turn of the century. The railroad helped bring in the equipment needed to build two large dredges which could tap into the abundant vein of gold buried deep beneath the valley floor, but even this did not stop the decline. In 1917, a fire destroyed most of the business district bringing the golden age to a sudden halt. The Railroad continued back and forth From Baker City to Prairie City seeing the continued dredging of the Sumpter Valley, the burning of Sumpter, the rise and decline of other towns supported by its trek, including; Whitney, Tipton, Austin, and Oregon Lumber Company’s own company town, Bates. 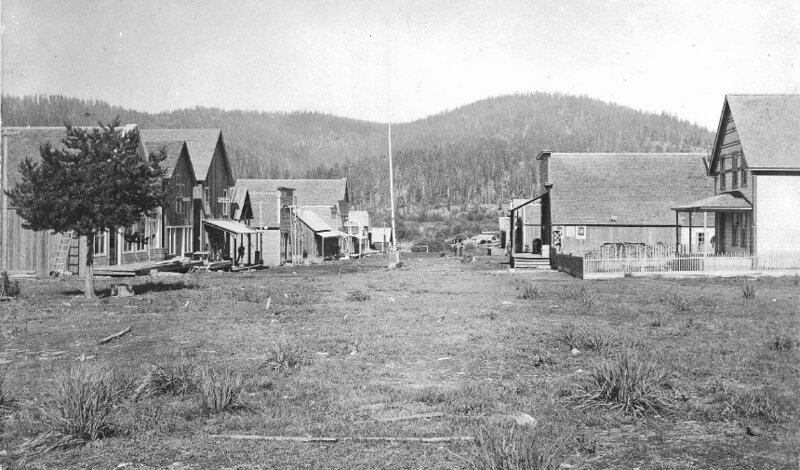 With advancements in transportation, such as cars and trucks, better roads made their way through Sumpter Valley and on up over the mountains to the west. In time the need for train transportation waned and as previously mentioned, the Sumpter Valley Railway Company made its last trip through the Sumpter Valley in 1947. But wait! That’s not the end! 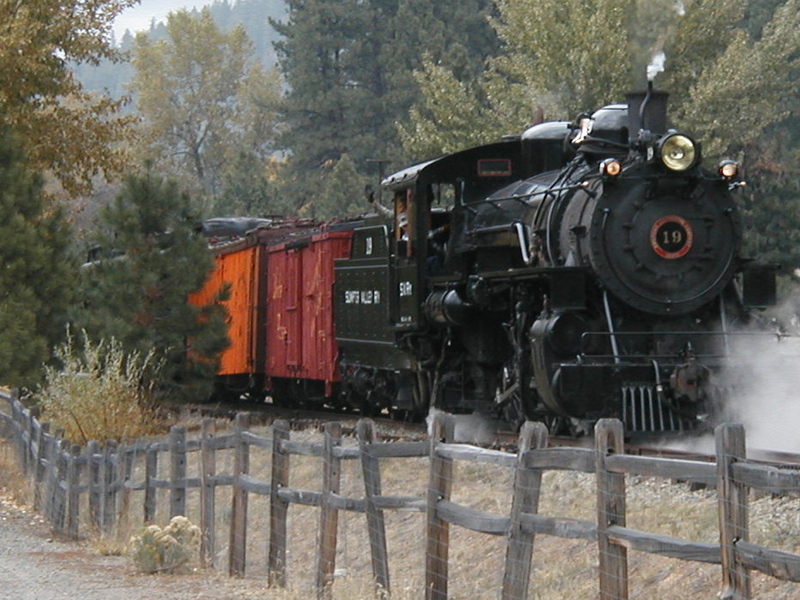 In 1971, a nonprofit organization named Sumpter Valley Railroad Restoration Inc. was established and through blood, sweat, and hard work they were able to find, rebuild, and restore several original Sumpter Valley Railway Co. cars and engines, as well as about eight miles of narrow gauge track from the old McEwen station back into Sumpter just shy of its original location (The Oregon Deptment of Transportation frowned on the idea of reconstructing the railroad track on the now existing Hwy). At the Sumpter Valley Dredge State Park, just shy of its original location, sits the replica of the Sumpter Depot. 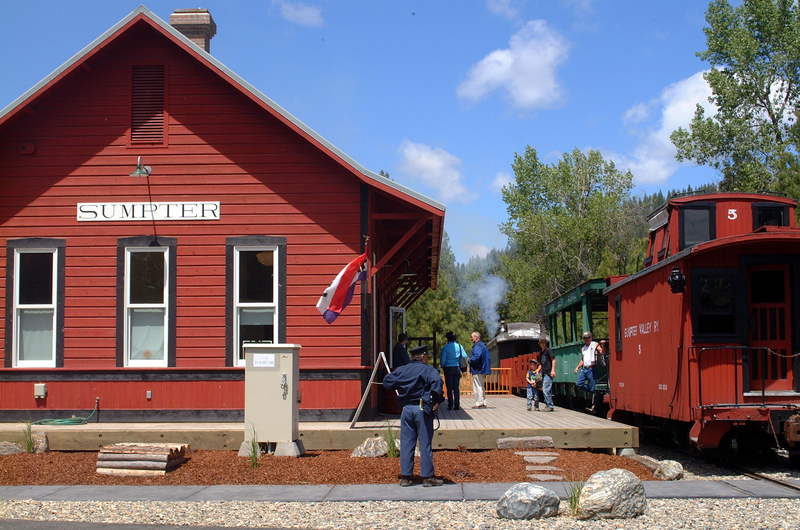 With train rides scheduled each weekend throughout the summer months, it is a great addition to a visit to the City of Sumpter and the State Park. For more information please visit the Sumpter Valley Railroad Restoration’s web site http://www.svry.com/ and they can also be found on Face Book. This entry was posted in History, Sumpter Valley Railway and tagged City of Sumpter, Gold Rush, Oregon Lumber Company, Sumpter Valley Railroad. Bookmark the permalink.